← Islamic Emirate: Why International Community is Silent about the Tragedy of Pol-e-Charkhi Prison? BALKH, Apr. 22 – Reports say, a strong of martyrdom seeker Mujahideen of martyrdom battalion of Islamic Emirate carried out martyrdom attacks on 209th Cops headquarter in Balkh province, which continued till night hours. According to details, 10 martyrdom seekers Mujahideen equipped with heavy and light arms attacked headquarter which continued for 8 hours. 4 of these martyrdom seekers were infiltrated Mujahideen that were performing their duties in headquarter as soldiers for a long period of time in order to conduct this type of attack. The heroic attackers were Ahmad Safi Balkhi, Mullah Lal Mohammad Nangahari, Hafiz Neamatullah Kabuli, Qari Fida Muhammad Baghlani , Hafiz Zabihullah Kunduzi, Engineer Talha Wardak, Mullah Jawad Kandahari, Hafiz Ziaur Rahman Kosti, Abdul Basir Parwani and Mohammad Nabi Ghaznavi. A Mujahid who had already infiltrated to the enemy ranks, managed to accomplice a heavy amount of explosive materials in a large dining room in the Corps. Later on 9 further Mujahideen equipment with heavy and light arms entered the installation tactically and launched attacking enemy. Latest information suggests that, more than 500 gunman of ANA, key military officers and commanders have been killed and wounded, while the installation is seriously damaged along with several vehicles and military equipment have been destroyed. We have said repeatedly that, no brutality of enemy is acceptable, but every major and minor crime will have a severe reaction. 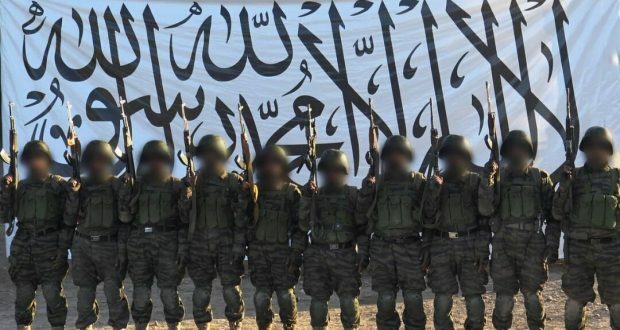 After Islamic Emirate’s governor of Kunduz – Mula Abdul Salam Akhund – and governor of Baghlan province – Maulvi Lal Muhammad – were martyred in enemy’s operation. The martyrdom battalion directed its ground of 10 Mujahideen for taking revenge of both governors by targeting the key enemy centers of the east region. The martyrdom offensive of 209th Corps conveys message to all enemy soldiers, police, intelligence apparatus and other relevant stooge organs that this spring operation will be more deadly and painful. It is better for mercenaries to avoid sacrificing for American and foreign interests anymore. If they still continue protection of their masters they are then responsible for their actions.